Sammy Nettling swings at the ball. The sophomore catcher has started 39 games for the Wildcats this season, hitting .250 with 7 doubles. As Northwestern heads to Athens, Georgia, its goal is simple: play to win. The Wildcats (26-26, 15-8 Big Ten) will face Oklahoma State (29-24, 6-11 Big XII) on Friday, before a potential matchup against either No. 19 Georgia (40-17, 12-12 SEC), or Maine (28-19, 12-5 America East). For NU, the at-large berth to the tournament didn’t come easy, as the Cats had to go 15-5 through Big Ten play in order to make it to .500 and be considered for a spot. Senior pitcher Amy Letourneau said the team’s mentality and work ethic is at an all-time high as it prepares to take on non-conference opponents. Strong play from Letourneau and the rest of the Cats’ five-pitcher bullpen will be imperative if the team wants to beat the Cowgirls’ high-powered offense on Friday. Oklahoma State currently has eight batters with double-digit RBIs, and is led by sophomore Vanessa Shippy, who is hitting .430 through 53 starts. However, the Cats’ rotation has a combined ERA of 3.91 — lower than the Cowgirls’ best pitcher, senior Kacy Freeze. Led by Letourneau and senior ace Kristen Wood, NU will look to shut down Oklahoma State’s offense by relying on its dominant pitching. Coach Kate Drohan said she expects the team to show grit and toughness as the Cats prepare for Friday’s matchup. Although NU will face the Cowgirls in its first matchup, the weekend will prove to be interesting, as the possibility for a rematch against No. 19 Georgia looms in the distance. The Cats lost a close one to the Bulldogs before conference play in a game that both Drohan and Letourneau said the team could’ve won. Drohan said NU’s tough strength of schedule leading into conference play will give the team the extra advantage needed to win. As the Cats look to play to win, they’ve yet to abandon their “one game, one pitch” philosophy. 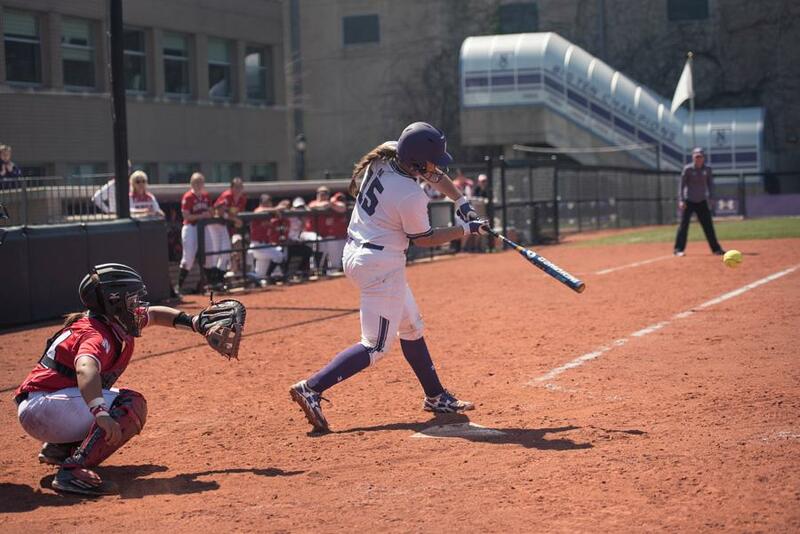 Freshman third baseman Morgan Nelson said the team must stay aggressive in order to pull off big wins this weekend.